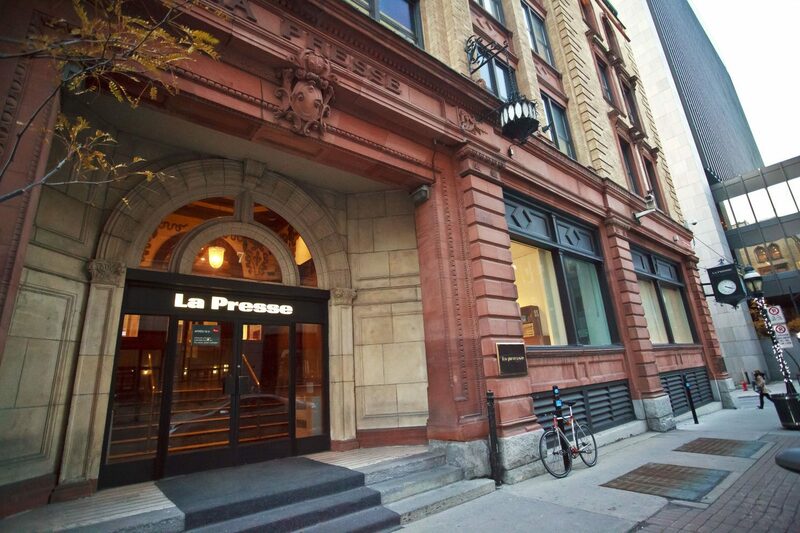 The La Presse building in Montreal. Image courtesy of Shaun Michaud. An office’s group shot usually exudes pride, but this one caused embarrassment. In December 2016, Quebec’s La Presse published one of its entire organization. 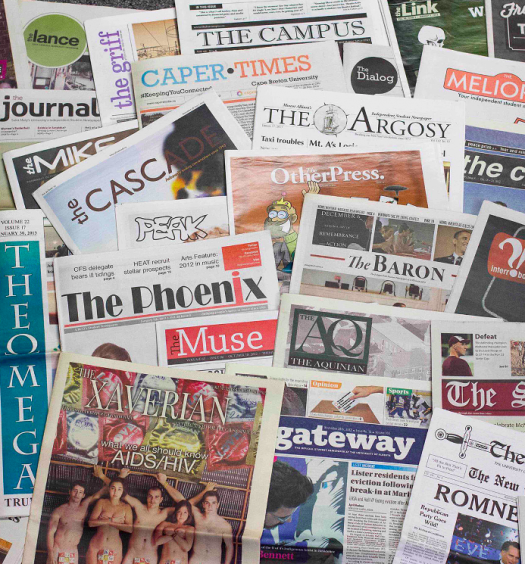 The lack of visible minority faces among the roughly 250 editorial workers contrasted with the paper’s multicultural stance. 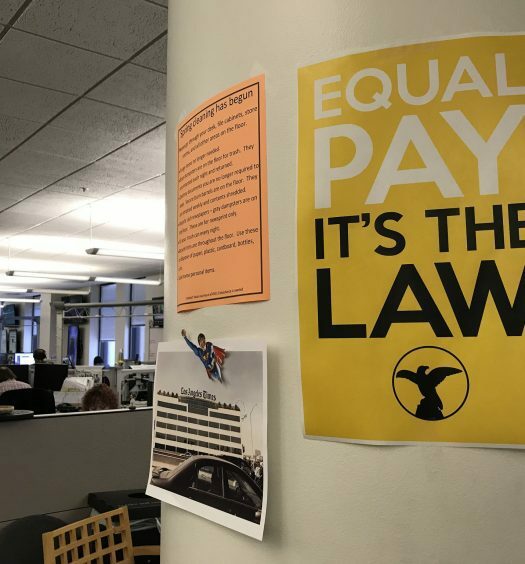 “Many of our articles promote inclusion, but when people (on social media) saw the picture, they threw that inconsistency back in our face,” said Sebastien Rodrigue, director of digital and web platform. 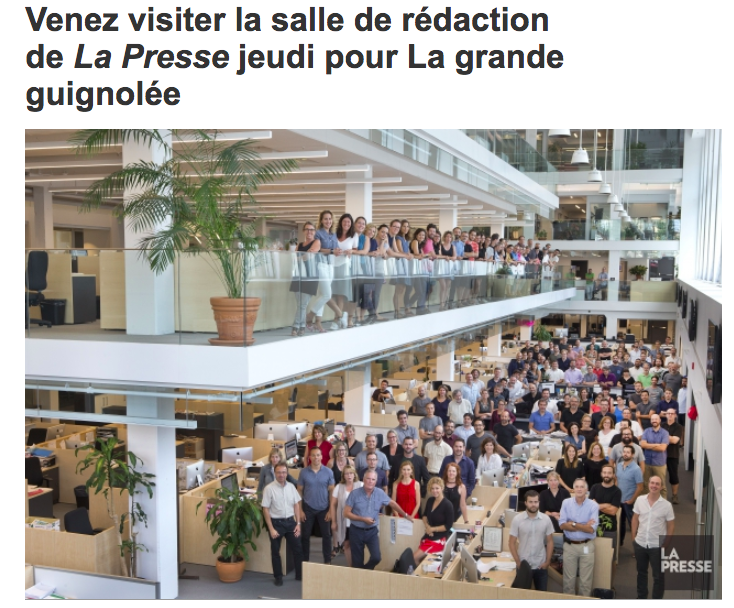 A group shot of the La Presse newsroom published in December 2016. Screenshot by J-Source. This led the paper to organize a four-week internship program, geared towards cultural community reporters. Awareness surrounding inclusiveness is not a new pursuit at La Presse, according to Eric Trottier, deputy managing editor. “La Presse’s got good parity between men and women. It’s generally at 50-50, even in executive roles,” said Rodrigue. But matters involving cultural communities’ representation have been harder to tackle, starting with inclusiveness in coverage. “We rounded them up (groups of reporters) and showed them in their own work how, ‘You interviewed 10 people and they were all white francophones.’ We told them this is not what society looks like,” said Trottier. There were also issues with participation from journalism schools. 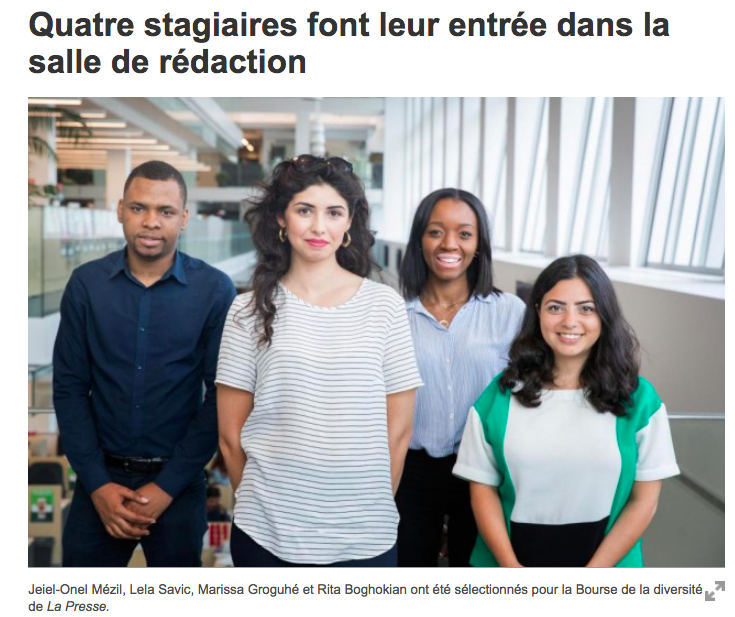 For years, the paper’s internship program, which catered to students of all cultural backgrounds, had brought only a handful of non-Quebecois reporters. Anglophone university students failed the paper’s French test while French universities produced few applicants. La Presse decided to cast a wider net this time around. “Journalism isn’t like the medical field. You need to go to medical school to become a doctor. But if you’re curious and self-reliant, we’ll give you a chance,” said senior managing editor Alexandre Pratt. Jeiel-Onel Mézil, one of the program’s four interns, had just graduated in business administration at HEC Montréal when he got his chance. Though he had never set foot in a newsroom or journalism class, being a reporter had been a dormant goal of his. “Journalism speaks to my interests. I’ve always known I’d be doing this some day,” he said. He and Marissa Groguhé, another intern, impressed their bosses on several fronts — so much so that Mézil and Groguhé have been hired by the paper until the end of 2017. “Their stories make the front page regularly and rank amongst the best work we put out,” said Trottier. The four fellows selected by La Presse in 2017. Screenshot by J-Source. Even if “deep down” his wish was to find “jewels” among the reporters, the program was primarily about training individuals who could eventually work in journalism, whether at La Presse or elsewhere. The ample learning opportunities that came with this made made the experience memorable for Rita Boghokian. She said that while her being a visible minority was valued by her colleagues, who encouraged her to use non-Quebecois sources for stories, La Presse also treated her as a full-fledged reporter. Consequently, she worked on a range of stories she wanted to tackle. This openness is why Savic looks back longingly at the month, wishing the experience had been longer. She says the internship has helped her grow from a journalism student into an actual journalist. “I come out of this with a big bag of tricks. I’ve learned about abilities I have and things I need to improve on. I’ve learned that I’ve got great interviewing skills, that I can get people to talk. This’s given me confidence in what I can do as a reporter,” she said.